A new Environics Poll shows the PCs with 38% support of decided voters province-wide, compared to 26% for the Wildrose party, 22% for the Liberals, and 10% for the NDP. In Edmonton, the PCs are at 36%, with the Liberals at 27%, Wildrose Alliance at 18%, and NDP at 15%. In Calgary, the PCs are at 34%, the Wildrose Alliance at 31%, the Liberals at 24%, and the NDP at 6%. The poll is also reported to show the PCs sitting at 43% outside of Edmonton and Calgary, compared to 29% for the Wildrose Alliance, 15% for the Liberals, and 9% for the NDP. While these are interesting numbers, I have a difficult time putting to much weight in this poll now that Premier Ed Stelmach and Liberal leader David Swann have announced their resignation. Probably, but not yet. Wildrose MLA Rob Anderson is calling on Justice Minister Alison Redford to meet the requirements set by Premier Stelmach and resign from cabinet if she is planning to seek the leadership of the Progressive Conservative party. Despite hiring campaign strategist Stephen Carter last week, a number of Tory sources have told me that Minister Redford continues to be indecisive about whether or not to run. 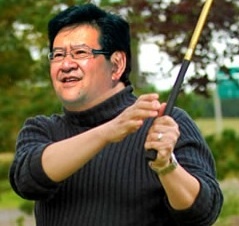 The Alberta government's man in Washington DC: Gary Mar. Former cabinet minister and Alberta’s current Washington D.C. representative Gary Mar is said to be preparing a run for his party’s leadership. Earlier this week I tweeted that GaryMar.ca was registered on January 27, 2011, the day that Premier Stelmach announced his resignation. The domain name was registered by Todd Herron, a former Chief Information Officer and Assistant Deputy Minister of Health. Mr. Mar faces the challenge of either returning to Alberta to enter the contest or potentially being replaced as Alberta’s representative when a new party leader is selected in eight months. The online campaign to lure Battle River-Wainwright MLA Doug Griffiths into his party’s leadership contest continues. With Housing Minister Jonathan Denis declaring today via Twitter that he will not enter the contest, the well-spoken and idea-focused Mr. Griffiths could be the only candidate under the age of 45 to enter the contest. Hinton Mayor Glenn Taylor formally announced his candidacy for the Alberta Party leadership this week. The three-term Mayor and former chair of the Rural Alberta Development Fund made the announcement at the Art Gallery of Alberta and was live streamed over the Internet. Lisa Fox, stepped down as the federal Green Party candidate in Wild Rose this week telling the Cochrane Eagle that she is considering a run for the Alberta Party leadership. Another candidate based out of Calgary is expected to enter the race in the next few weeks. The route of the proposed Keystone XL pipeline (image from The Economist). To the dread of Alberta’s oil companies and the Public Affairs Bureau, the “Tar Sands” are featured in a recent issue of The Economist. The article describes the proposed Keystone XL pipeline as potentially pumping $20 billion into the American economy and creating $5 billion in taxes to the individual states on the route. The proposed pipeline, which has been a subject of ferocious debate, was opposed by many Congressional Democrats, including Representative Henry Waxman and is publicly supported by 39 Congressional Republicans. US Secretary of State Hillary Clinton has said that he is “inclined” to support the pipeline. Touring with the Friends of Medicare, Independent Edmonton-Meadowlark MLA Raj Sherman has been drawing crowds across the province. At a recent town hall meeting in Red Deer, Dr. Sherman told a packed crowd that solutions to the current crisis in emergency rooms starts with enhancing home care and long-term care for seniors, particularly those in the low and middle income groups. The next town hall meeting will be held in Medicine Hat on February 19, 2011. Brian Leadbetter has been hired as the new Communications Director for the Official Opposition Liberals. Mr. Leadbetter will fill a vacancy that was created when former Director Neil Mackie had his contract terminated in January. Mr. Leadbetter was the Director of Government & Community Relations for Northlands from 2007 to 2010 and a Senior Communications Director for the City of Edmonton previous to that. After reaching an impasse in January, the Alberta Union of Provincial Employees has proposed re-starting their negotiations between their General Services Bargaining Unit and the provincial government. The resignation of Premier Stelmach may have hastened their decision to restart negotiations, especially with the prospects of potentially bargaining with a more ideologically driven government under future Premier Ted Morton. Acknowledging that there is room for improvement, the Social Credit Party is inviting Albertans to participate in their policy development process. According to the party website, reasonable, innovative suggestions will be formulated into policy proposals to be presented at the Party Policy Convention on March 26, 2011 in Innisfail. Marc Power is seeking the NDP nomination in Calgary-North Hill/Klein. I have updated the list of nominated and declared candidates for the next provincial election (please note the new link) to include Marc Power, who is seeking the Alberta NDP nomination in Calgary-North Hill, which will be known as Calgary-Klein when the election is called. Mr. Power, a software trainer and former co-chair of the NDP LGBT committee, was that party’s 2008 candidate in Calgary-Currie. 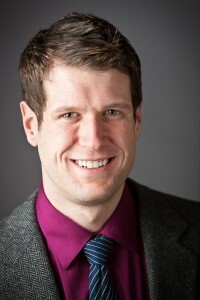 North Hill is currently represented by PC MLA Kyle Fawcett, who was first elected in 2008. Federal Edmonton-Strathcona NDP President Marlin Schmidt is seeking his party’s nomination in Edmonton-Gold Bar at a February 24 selection meeting. The constituency has been represented by Liberal MLA Hugh MacDonald since 1997. UPDATE via Insight into Government Leduc Alderman Dominic Mishio has declared his intentions to seek the PC nomination against two term MLA George Rogers in the new Leduc-Beaumont constituency. In Edmonton-Riverview, Arif Khan is the first candidate to declare interest in seeking the Liberal nomination to replace retiring MLA Kevin Taft. Mr. Khan is the western Vice-President of the Condo Store Inc. As noted in last week’s Alberta Politics Notes, the NDP are expected to nominate Lori Sigurdson in Riverview. This entry was posted in Alberta Politics and tagged Alison Redford, Arif Khan, Brian Leadbetter, David Swann, Dominic Mishio, Doug Griffiths, Ed Stelmach, Gary Mar, George Rogers, Glenn Taylor, Henry Waxman, Hillary Clinton, Hugh MacDonald, Jonathan Denis, Kevin Taft, Kyle Fawcett, Lisa Fox, Lori Sigurdson, Marc Power, Marlin Schmidt, Neil Mackie, Raj Sherman, Rob Anderson, Stephen Carter, Ted Morton, Todd Herron on February 11, 2011 by Dave Cournoyer.